Exciting, scary, stressful, tedious, nerve-wracking, terrifying, exhilarating… addictive. No, we’re not talking about the ups and downs of married life, although the parallels are there. No, these are just some of the emotions that most of us musicians experience – often many times over – on show days. You can’t beat that incredible feeling of killing it on stage, rocking out in the knowledge that everything’s gone to plan and the crowd are just loving it. It’s that rockstar sensation many of us spend a lifetime searching for. But, as we’ve written many times on the Blog Of Tone, it’s also the preparation before showtime that helps separate the wheat from the chaff. There’s loads you can do at home and in the rehearsal room to ready yourself, of course: from mental preparation to endless scale practice and regular instrument maintenance. 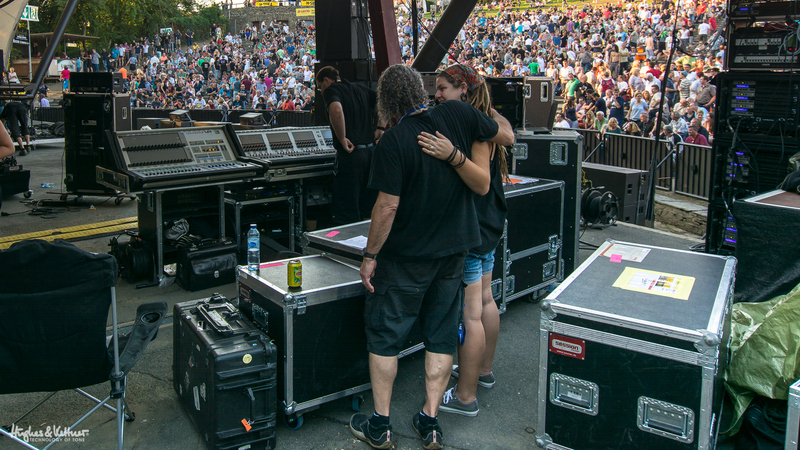 Here, then, are some of our tips on how you can smooth the soundcheck process and use it to your advantage to help you play a better live show. Soundcheck can come in many shapes, lengths and sizes, and you should do your homework to know what to expect well before you leave for the venue. The more preparation you do at home and in the rehearsal room, the less knob twiddling and stress will be necessary during soundcheck – and hopefully on stage later on! A great thing to do, if you can, is get your band’s stage plot to the venue/sound engineer in the days before the show. A stage plot, by the way, is a diagram/list of your band’s gear as it’s set up on stage, including lists of the gear inputs you’ll need, numbers of things like mics, etc. – Google it to see loads of great examples you can use to get your own done. And when you do show up, come early! Or at least arrange to be early, so you don’t get there late. You’ll learn your soundcheck time in advance from the venue (and if you’re not the headliner, you might not get long at all), so note it and work round it. Again, if you doddle in late, you’ll either be holding everyone else up, or you’ll not get a soundcheck – and this is not a good thing. Do yourself – and everyone else – a favor by leaving your rockstar ego at home, if you have one. Bring it out for showtime later, sure, but in the meantime, ‘please’ and ‘thank you’ are terms that will endear you to the venue crew and FOH engineers. Similarly, learning the names of the venue crew and actually listening to what they say will help you out. They know the venue better than you, and they’re there to make you sound good – so do as they say and all will be well. This is the kind of happy, relaxed atmosphere you won’t find at too many soundchecks, but keep the mood light, be polite and easygoing, and you’ll be doing everyone in the room (or in this case, field) a favor. Of course, don’t be afraid to tell them if you need more vocals in your monitor, but never forget: if you treat sound engineers like rubbish, you can guarantee your show is going to sound the same. Oh, and by the way, being nice applies to your fellow band members too: don’t widdle around or chatter while they’re getting their levels sorted. It just makes things harder for everyone. You know what songs you’re there to play, so have your rig appropriately set up as much as possible in advance. This applies to everything from the number of guitars you’ll need (and spares, always the spares!) to your amp and FX pedal settings, knowing all the cables and power supplies you’ll need to bring, and so on. 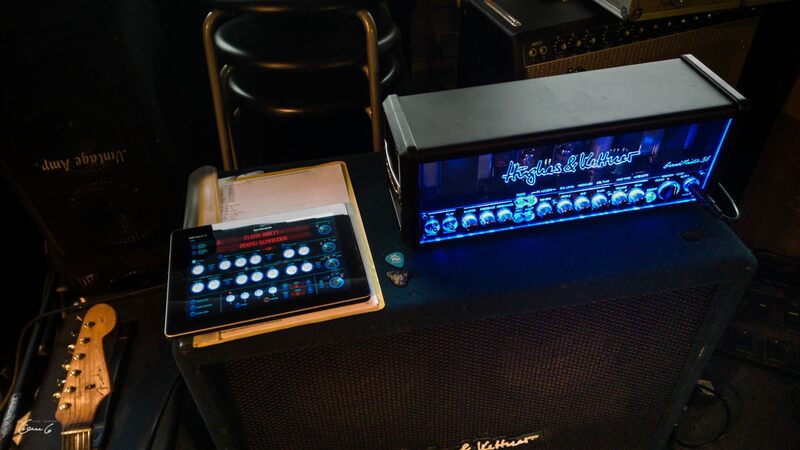 With regards your amp, all your required settings should be dialed in already. You can tweak them during the soundcheck as necessary (that’s what it’s there for, after all) but don’t come in completely unprepared. The same goes for your pedals – have them set just as you want them, and put fresh batteries in before you leave the house. Incidentally, we wrote all about the various bits and pieces you need to bring with you to every gig here – give the post a read to get the full lowdown. The sound engineer might want – or need – you to change things up slightly. Don’t be offended if you get asked to alter your precious tone: remember, it’s their job to make you sound your best, and, like it or not, they’re in the best position to judge. So, what might you have to change up? It could be many things, but one of the most common requests will be asking you to turn the volume down. If you’re asked to do it, do it. It’s in your best interests. You may also have to change up your sound for the show and/or venue too, and soundcheck’s the place to make these last minute adjustments. Most likely, you’ll be adding mids to your tone. We know mids might not sound good to you when you play at home, but in a live context, you’ll need them if you’re not to be drowned out by the bass and drums. It’s all about finding frequencies that will cut through the mix the best. Work together with the sound engineer to get this spot on. 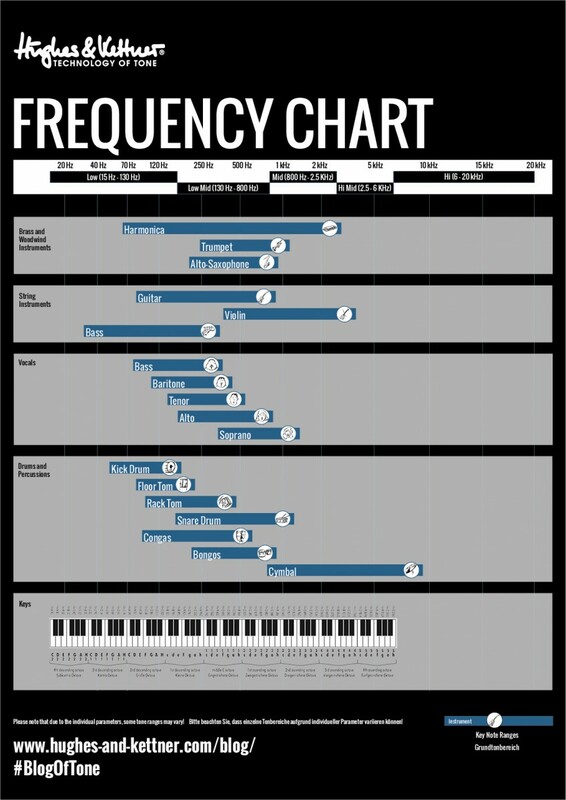 Print out and keep a copy of this handy frequency chart in your guitar case, in the rehearsal room, on the studio wall… It’s a surefire way of helping you keep track of those potentially overlapping musical frequencies! 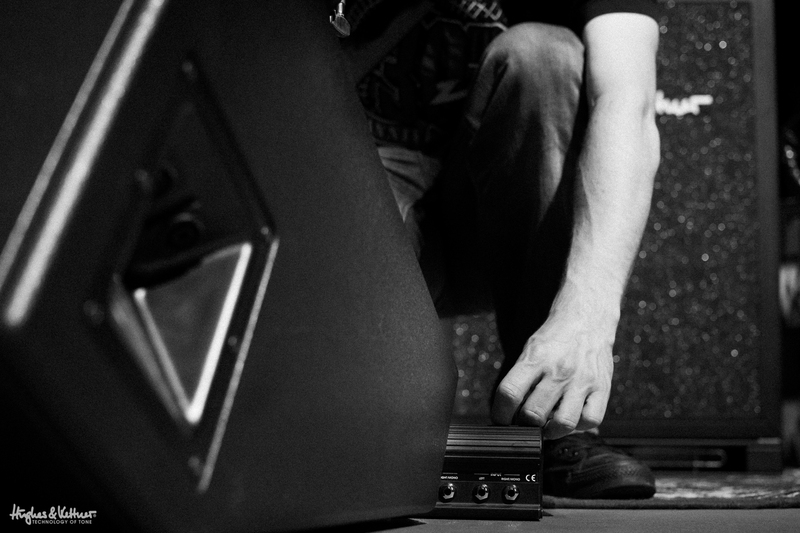 You might also need to change the position of your amp onstage. We wrote all about the nuances of how to place your amp here, but don’t be too put off if you’re asked to move yours around, or alter its direction. Remember, it’s all being done to make you sound better! Once you’re all plugged in and ready to go and you’ve got your monitors sorted (you’ll probably get to add the bits of the mix you want to hear while the engineer’s going through each instrument/mic) it’s time to crack out some full band sounds. You don’t need to play complete songs, but snippets of at least two tracks should do it. Choose your loudest and quietest songs to do this, as it’ll give the engineer more to work on, and go for tracks that feature all your instruments and mics being used, preferably all simultaneously. One other handy tip here is to play the first song of your set proper as the last part of your soundcheck: it’ll mean the PA is set as well as possible for your all-important opening tune to sound cracking. And play it – and sing it – with as much genuine show intensity as you can muster. If you perform your soundcheck in a half-assed way, you can guarantee your levels will be out of whack come showtime when your adrenaline’s through the roof and you’re giving it all you’ve got. Just don’t overdo it and use up all your energy (or damage your vocal cords) – you’ll need them later. Really. Throughout the soundcheck process, your guitar might sound awful, the mix in your monitors might make the band sound flat, and you might think there’s no way the crowd’s going to be into it at all. But it’s almost always the case that the FOH engineer knows best, and what they can hear out front is a far more pleasant mix that what you’re hearing on stage. So just roll with it, and enjoy the show. Soundcheck is NOT a rehearsal. You’re there to get the band sounding great for the show, not to write new songs or perform your set in its entirety. A good, efficient soundcheck, by the way, can be through in way under an hour. If you’re at a festival or an open mic type setup, most of the wisdom we’ve just imparted goes out of the window straight away. In those contexts, soundchecks generally don’t get much more complex than a quick line level check before you hit the stage, with the FOH team mixing you on the go. Want more on this? 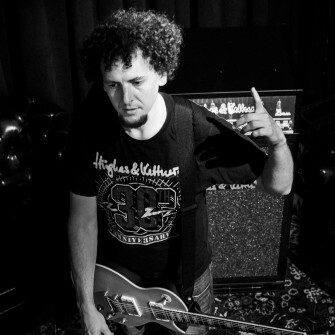 Read all about playing and managing your tone at a festival right here. So, that’s your soundcheck in a nutshell. Trust your sound engineer, be prepared, don’t be an idiot, and you’re all set to enjoy the best possible show. Simple, right? But we’d love to hear your soundcheck stories. First published: June 26 2015. Most recent update: December 22 2016. Soundcheck are the best thing to do before playing the gig. For the obvious reason not all sound system are the same. And You should also assist the sound engineer what kind of sound mix you need. I have written similar things over the years, but nothing close to this. You have nailed it really well. Do you mind if I use this at some of my briefings? 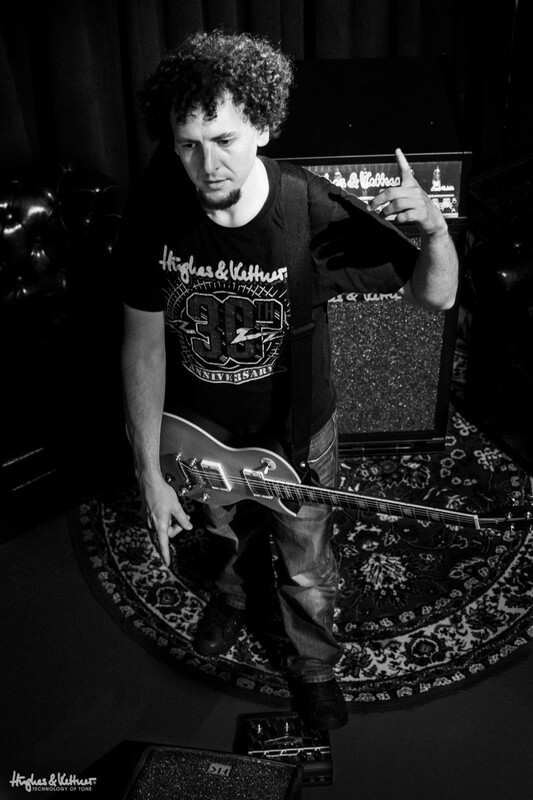 I promise to give credit to Hughes & Kettner blog where I do. Very informative article ! I especially like the part about doing your research. I’ve learned that just 2 weeks ago, I’m glad I went to the gig to check out the stage, it was outside and not band friendly, saved us a lot of time by checking it out !!!! Thanks a lot Jeff! Yep, that extra bit of preparation is always worth it if you have the time and the motivation – in our experience it always helps with something, be it knowing stage dimensions before you get there, where you load in, even how to get to the venue. And one other great thing you can try is sending the venue sound engineer a copy of your demo/album/whatever – make him or her a fan before you get there (or at least make them aware of your arrangements and style), and they’re certainly in a better position to get you a great live sound at short notice!